You can buy all sorts of 5V relay modules on Amazon for as little as $3-4 (probably even less if you get really cheap). 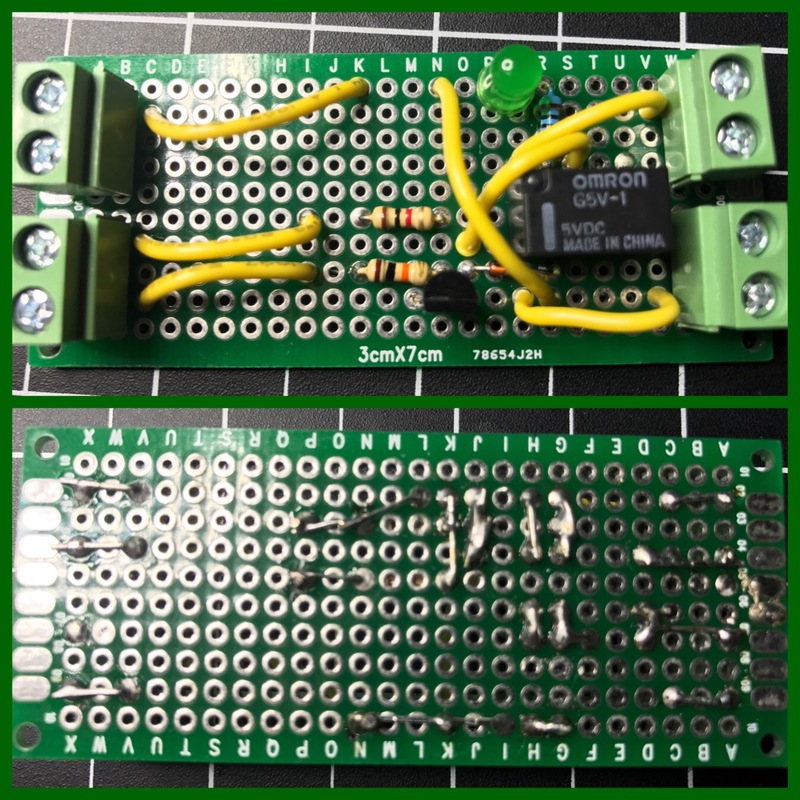 They even sell boards with multiple relays if you need to switch more than one thing. Since I had all of the necessary parts I built my own. Yesterday I finished the board, because I had to do something before National Week of Making ended. It worked great switching power from a 9V battery, but the real test was hooking it up to mains power. Electricity gets a lot more dangerous at 120V! 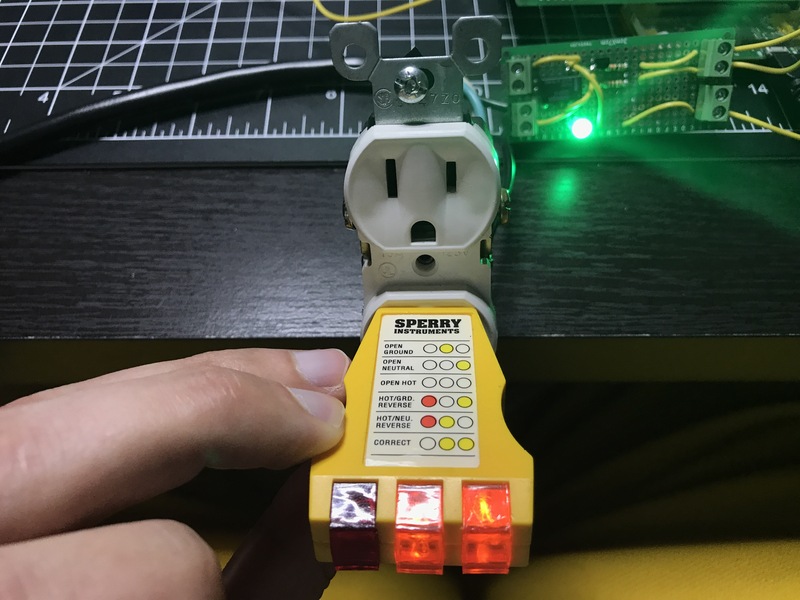 It was a little scary plugging everything in and flipping the input, especially after reading so many warnings online, but there were no sparks. Tester shows the wiring is correct. I need to pick up a plastic outlet box to house everything so it’s safer with the exposed soldered circuit board in there; I don’t know what I was thinking when I bought a metal one. I’ll publish a more detailed post this weekend when it’s complete. 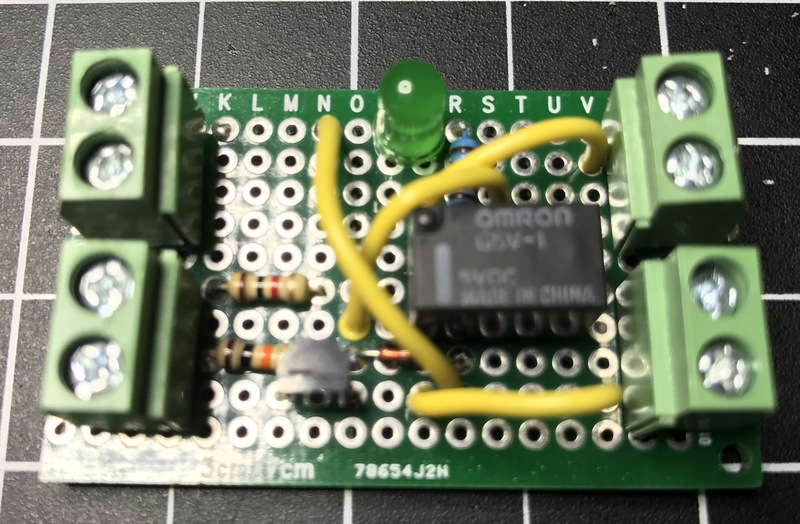 Update: I realized the relay I used in this module can’t handle the amount of current I need, so I ordered a different type of relay and will be making a new module. I’ll take the opportunity to make a more compact design as well. I did shrink this one a bit and cut off some of the board. I’ll save this module in case I ever need it for a project.